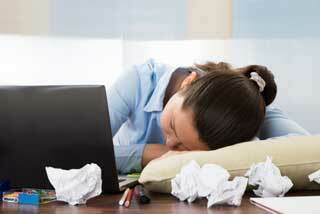 Do you or your employees feel bored at work? Unfotunately many of us would answer yes. Current reports reveal that boredom is running rampant not just in assembly lines but for white collar workers who ‘waste away, unchallenged and uninspired’ at their desks’. Sandi Mann from the University of Lancashire studies boredom and found that ‘ boredom is a condition that can be more stressful and damaging than overwork’. To help us understand boredom she explains that being bored at work does not happen because you have nothing to do. It happens because nothing you are doing appeals to you. What a terrible reality to think employees are coming in every day but checking out mentally because they feel no connection or derive any personal satisfaction from the work they do. And, what a terrible thing for employers as they watch morale decline and profits weaken. Understanding what causes boredom is key to any positive change. We believe part of the process should include an employee engagement action plan to really get to the heart of the disconnection and understand what is causing employees to feel bored in the first place. Boredom is one of the key drivers of poor work performance, accidents, absenteeism, sleepiness, and stress-related health problems so it deserves attention in most organizations, including and especially offices. Feeling bored, like feeling depressed or anxious, are signals that really deserve attention. It’s your mind alerting you that all is not well and something needs to be done. But what exactly is boredom, and how can we use it to help us and make work more interesting? Boredom can be busted just by being aware of the tasks employees are expected to perform and their work environment; it could be time for changing things up. Since often the task itself cannot be changed, one way employers can bust the boredom factor is to provide less controlling environments. Give employees the freedom to organize their own work- schedule and to decide when to take breaks. Employees who are interested in their work and who find what they do personally relevant and valuable will work harder and longer and be happier doing it at the same time. Being interested in a task is essential to being good at it. Interest is crucial for keeping us motivated and effective. Being interested turns the mundane into something exciting. Managers play an instrumental role in fostering interest in their employees to help them achieve their goals. Changing the ways we look at work and how it gets done is important if you want to stay ahead of the curve and some companies are experiencing reduced turnover simply by shifting control to their employees to decide how the work gets done. As this video shows us, some employees can work anywhere in the world and still get their jobs done and they are so happy no one quits. Researchers can often be heard saying "You cannot change what you don't measure." It's especially true with employee engagement and that's why we firmly believe in the power of employee surveys as a way to give you the insight you need to create positive change. Without that knowledge it's impossible to know where you have to take action. To learn how we can help visit our website at www.insightlink.com, write to us at info@insightlink.com or call Lynn Gore at 866-802-8095 ext. 705.